Besides, if you have a twitter account and would like to be the first to know when the recap of a new set of chapters is up or how much longer you have to wait to read it, be sure to follow me on twitter – that’s the first place I share the link to a new blog post. 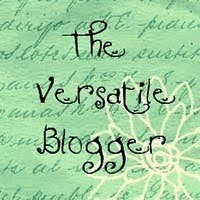 There's also a giveaway I'm doing where you can win a customised VA-bookmark. It ends on August 31. Check it out! Rose realizes Mia slept with Jesse and Ralph while she still was dating Aaron. Rose is also surprised that Mason put a lot of effort into finding all this out. During the dance Rose notices Lissa surrounded by other moroi, but Mason leads Rose away. Through the bond she can feel that Lissa is anxious and irritated. Next time Rose looks Lissa’s way she sees Mia picking up a fight with the princess. It turns out that Mia somehow found out that Lissa’s been cutting her wrists. Mia suggests that this was the reason for Rose and Lissa running away two years ago. (Mia snarled, baring her fangs. Rose hits Mia. The guardians restrain her and take to her room. Kirova tries to restore order, and Rose manages to shout to Christian to take care of Lissa. A couple of guardians are stationed near the dorm’s entrance in case Rose tries to escape. Rose sits on the floor of her room in the dress thinking of what will happen to her when she’s kicked out of school. Through the bond she feels that Lissa has calmed down. Suddenly she’s pulled into Lissa’s mind. She and Christian are in the attic which is suddenly filled with unknown guardians. They knock Christian out, tie Lissa up and gag her. Let’s pause and look at what’s happening in the teaser. It seems like some events have been fast-forwarded in the movie. Like Lissa and Christian being a couple. In the teaser we see them kissing at the dance and in the attic while in the book they were certainly not together at that time. I’d say that they might have changed the Dragozera storyline somewhere after Rose breaking her ankle. It might be Christian who finds Lissa in the attic after healing Rose, then he’ll be the one to bring the princess to the clinic. This way Lissa and Rose would still be friends and Lissa and Christian would be a couple at the time of the dance. (Here’s a pic to support my idea of fangs-showing as a way to express contempt or whatever. I guess this pic might happen when Rose notices Mia talking to Lissa. We also got a glimpse of Lissa being abducted. Christian is hit in the head. The kidnappers are wearing masks (in the book it was mentioned that they were just guardians not from the Academy). Lissa is blindfolded. Rose is pushed out of Lissa’s mind and doesn’t remember what happened to the princess. A voice in her head tells her to go to Dimitri. Rose thinks it’s a great idea – Dimka would know what to do. Rose goes to guardians’ rooms. Interestingly enough, guardians seem to live in the same building as novices. The voice prompts which door leads to Dimitri’s room. He opens the door, just in his pajama bottoms. In all the time we'd known each other, in all the time this attraction had built, he'd never told me I was pretty. He'd hinted at it, but that wasn't the same. And despite all the assurances I had from other guys that I was hotness incarnate, I needed to hear it from the one guy I actually wanted. Dimka tries to get Rose to leave, but it’s not that simple! He regarded me with utter seriousness, like he always did. "I think you're beautiful." "You are so beautiful, it hurts me sometimes." They kiss and then Dimka takes her to the bed. In the teaser we see a part of that scene – and Rose has no dress on. That voice in Rose’s head tells her to stay with Dimka, not that Rose herself minds. 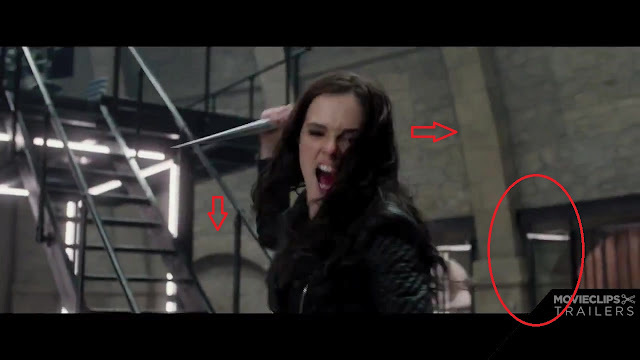 It’s a bit weird that in the middle of making out Rose asks Dimitri about killing strigoi and feeling guilty about it. He tells that it’s not guilt but sadness because they were humans, dhampirs and moroi once. And church is a good place to think about all this. Sometimes I find peace there, but not often. I find more peace with you. Finally Dimitri takes the necklace off Rose and she realizes that the voice that was pushing her to Dimka vanished. 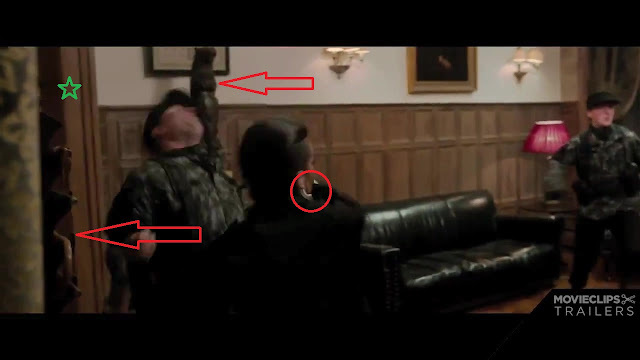 Dimitri understands that there’s something wrong with the necklace and throws it through the window. Rose instantly remembers that Lissa’s been kidnapped and informs Dimka. Other guardians and Kirova are summoned. At first nobody believes Rose’s story, but then guardians bring Christian from the chapel and it turns out Lissa’s nowhere to be found. Adults think that she was taken by strigoi, but Rose and Christian insist that the people were guardians. Rose sneaks into Lissa’s mind and recognizes one of the guardians. It’s Spiridon, who works for Viktor Dashkov. Rose returns to her own mind and tells that the princess is abducted by Viktor’s people. Someone wonders why Dimka didn’t report about Lissa’s disappearance earlier. He says that Rose was under compulsion that made her attack Dimitri. Once he subdued her, they informed Kirova and guardians. After a little while they head after Lissa. Rose is allowed to come just because she can help find the princess. Dimka secretly tells Rose that the necklace was really charmed but the compulsion was of a different kind – it was a lust charm. To do that one needs to wield the type of earth magic which hasn’t been used for a long time. Rose worries whether that little moment in Dimitri’s room had the same meaning to him as it did to her. Rose sees Viktor taking Lissa to the cabin in the woods. Princess asks what happened to Christian. Viktor tells her that they didn’t expect to find him with Lissa. They planned to kidnap her and then tell everyone at school that she once again escaped. Rose remembers Natalie telling her something about Lissa running away. They also wanted to get rid of Rose, her being the biggest obstacle. But that necklace came in handy. Viktor wanted to get Rose out of his way and then tell people that she ran away with Lissa. Finally, Viktor reveals why he abducted the princess – he wants her to heal him. Viktor explains that he observed Lissa for years to make sure about her powers. Natalie saw her heal that raven two years ago, Viktor knew that she brought Rose back to life when she died in the car crash. That’s why he tried to create similar circumstances for his experiment and had Natalie plant dead animals in Lissa’s room and backpack. He needed to be sure that Lissa can heal at will and not only in the moments of panic. He then mentions that the best way to test Lissa’s abilities was through Rose, so he made the bench crack under Rose (Natalie used her magic on the wood). Lissa still doesn’t understand why kidnap her – she’d be happy to help, Viktor needed only to ask. He explains that with his kind of condition one healing session won’t be enough. He read a lot of scrolls about spirit users – that’s what Lissa’s called. She realizes that Rose was basically right – Vladimir and Sonya were also spirit users. An element that's within all of us. A master element that can give you indirect control over the others. Viktor casts some light on the girls’ bond which formed when Lissa brought Rose back from the dead. He also mentions that spirit users draw energy for their magic not from the outside world, unlike other moroi, but from themselves, their own essence. If she’s ever prescribed antidepressants, they’ll block her magic. Viktor wants to become moroi king to change current state of things. He’d like to start hunting strigoi, no longer keep younger moroi isolated, teach them how to use magic in a battle so that they could fight alongside the dhampir. Lissa sees a lot of sense in what Viktor’s saying, but his methods are repulsive. Rose feels how Lissa’s being tortured by an air user. (It would be interesting to see this scene play out on the big screen.) Lissa can’t take it any longer, heals Viktor and faints. The guardians stop their cars not far from the cabin. They go over the plan, and Dimka asks Rose to stay at the car. She and I both need you to stay safe. Lissa uses compulsion on one of her guards, sneaks out of the window and runs. Rosa curses and is really spooked by Christian who was hiding in the back of the SUV. "What's it look like? I'm a stowaway." Rose tells him what she saw and says that she needs to find her friend before Lissa dies of exhaustion (remember, it’s broad daylight in the book which makes moroi tired very quickly). Rose doesn’t even has to asks – Christian’s coming with her. Man, how I wished Lissa had stayed back there. I would have loved to see the raid through her eyes. 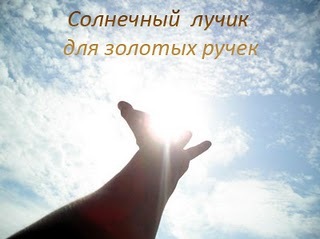 (We are lucky fans, you know. We get to see some of the fighting Rose so much craves to witness. 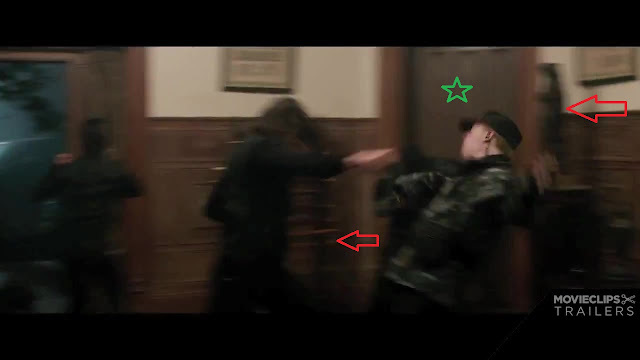 Even better – there’s a tiny fight scene in the teaser which probably takes place inside the cabin. We see a door (that’s a star- at least I think that’s where the door might be) and an umbrella stand. Here we also see a statuette (a beaver or a bear), the door and the umbrella stand. 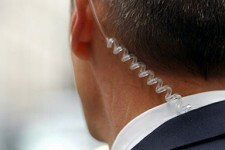 Pay attention to Alberta – I guess she has an earpiece, the kind bodyguards sometimes have. And finally Dimka punching the bad guy – and we see not only the door and the umbrella stand, but also the statuette. BTW, Dimitri seems to be wearing the same vest as in this pic. While guardians are kicking each other’s asses, Rose is grateful for Dimka’s running lessons. Christian can’t keep up with her, so she leaves him behind. Rose is getting close to Lissa and cries out her name, but instead of Lissa hears psi-hounds. It dawns upon Rose that in Chicage it was not Academy tracking them down; it was Viktor. Lissa’s in the clearing, sitting under a tree. Rose fights the hounds with a branch. Christian rushes to help her. He uses fire to make the dogs back off. One of the hounds attacks Christian from behind. Fortunately, Alberta comes to their rescue and shoots the hounds. Christian has serious injuries, and Lissa wants to heal him but has no inner energy left. 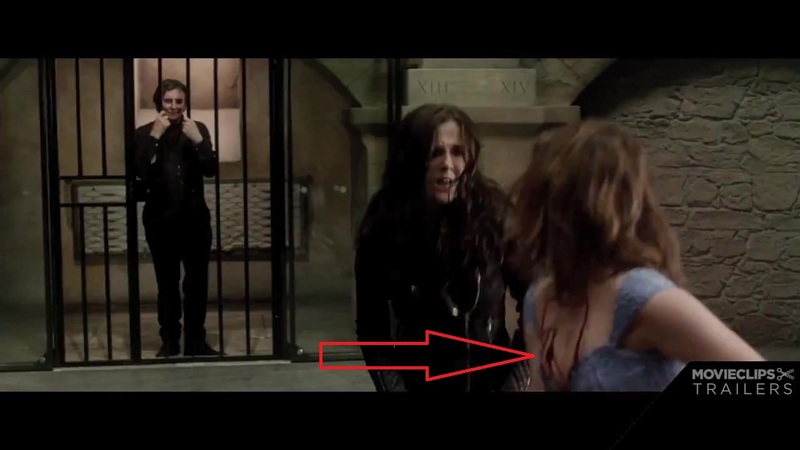 Rose offers Lissa to drink her blood, which Lissa does and then heals Christian. Rosa blacks out. Rose comes to in the clinic where she spent two days. She and Lissa had to tell Kirova and some others about Lissa’s unusual powers and the whole spirit thing, as well as healing Rose, Christian and Viktor. Everyone at school knows that Dashkov kisnapped Lissa but no one knows the real reason. Viktor is kept at school in the security centre until royal regiment of guardians takes him away. Nobody knows what to do with Natalie, so they are waiting for a royal command. Natalie is free to move around the campus but she’s not allowed to see her father. Rose and Lissa are friends again. The princess dumped Aaron and started dating Christian. While Rose was at the clinic, Dimitri never visited her and their training was postponed. She ran into him on the fourth day after the kidnapping when she was collecting her gym bag. Dimitri asks Rose to write a report on what happened to them in Dimka’s room. Rose worries that he will be fired because of it, but he thinks it will be the right thing to do because he took advantage of Rose. He points out that he’s seven years older and that Rose is still a child. You didn't seem to think I was a child when you were all over me. Against a gun-toting vengeance in a little black dress. “We're in two very different places. I've been out in the world. I've been on my own. I've killed, Rose - people, not animals. And you...you're just starting out. You need to understand that it was a mistake. And it isn't ever going to happen again," he added. "Because you're too old for me? Because it isn't responsible?" His face was perfectly blank. "No. Because I'm just not interested in you in that way." Rose spends the rest of the day in her room, though Kirova ended her house arrest. Next day Rose goes to see Viktor and asks him to break the spell he cast on Dimitri and her. 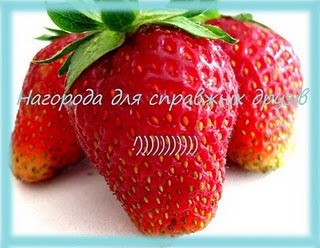 Dashkov laughs because the spell has already been lifted. Besides, the charm wouldn’t have worked, had they both not have feeling for one another. Then he says that moroi have no real leader and Lissa might have become one if she found a way to battle spirit. He calls Rose shadow-kissed because she was brought back from the dead. Viktor plans to kill her, but otherwise he would make her a member of his royal guard when she were older. Natalie enters and throws Rose into a wall. She has the keys Rose saw on one of the guards and unlocks Viktor’s cell. And we see what a strigoi looks like. The faint ring of red around her pupils. Skin too pale, even for a Moroi. Blood smudged around her mouth. And most telling of all, the look in her eyes. A look so cold and so evil, my heart nearly came to a standstill. It was a look that said she no longer walked among the living - a look that said she was now one of the Strigoi. Before starting on the last chapter let’s talk a bit about the teaser. Firstly, I’m really confused by the helicopter. Lissa is in the green dress she wore to the dance. Behind her we see faint light in the windows. The size of the windows makes me think it’s not the cabin, but the academy grounds. Will Viktor use the helicopter as his getaway vehicle? But Lissa’s not blindfolded nor escorted by masked guardians. The helicopter might be the rescue team, but then Christian won’t be able to hide inside. Does it mean Christian will not participate in saving Lissa? Who knows? We’ll have to wait and see. Secondly, the issue of time scope of the events. 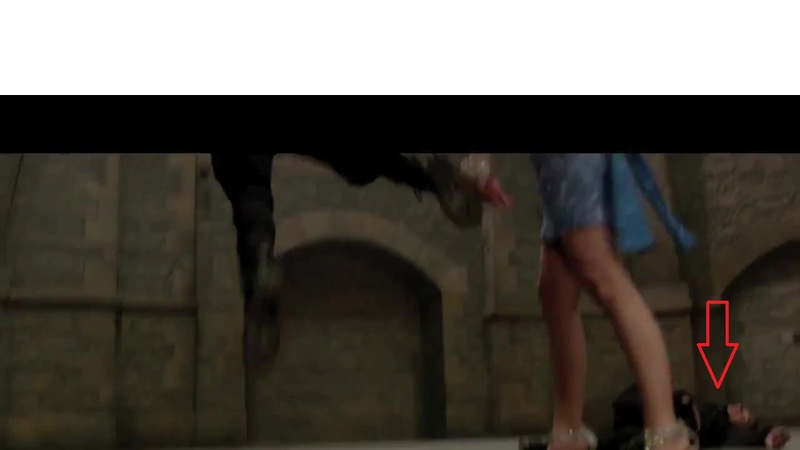 In the fight scene at the security centre we see Natalie wearing the blue dress. Surely she wasn’t wearing it for four days. So we might assume that kidnapping, rescuing and talking to Dimitri and Viktor all happen in consecutive order (first two during the night, the other two – during the following day?). If that’s the case then Rose will not spend several days in the clinic, which means Lissa will probably not feed on her. That leads to a conclusion that there will be no Christian to heal. See the blood stains? Obviously, she just fed on someone. Maybe that security guy in the background? Remember this guy, we’ll need him a bit later. [I also have a theory. Those of you who watched the interview Josh Horowitz did with Zoey remember the question about her favorite scene to film. She told about a little scene she has with Danila closer to the end, where they are walking in the sunlight and talking. The I-don’t-like-you talk? Might be. There’s another possible option for this talk. This still. Dimka’s wearing the vest he wore in Viktor’s cabin, so based on clothes this pic can take place after getting back to school. And Rose’s in her leather jacket - the same one she wears in the security centre. Rose tries to talk to Natalie but then realizes that this was a kind of hesitation Dimitri told her about. Natalie is ready to kill Rose, but Dimitri comes to her rescue, “charging down the hallway like Death in a cowboy duster.” He and Natalie circle each other and then he drives a stake through her heart. Now back to the teaser. Look at this. Rose is obviously holding a stake. That’s definitely the security centre where they kept Viktor. Rose is trying to stake someone who maybe is lying on the ground. We also see the stairs. Provided the final fight scene stayed true to the book in respect of Rose not using stake, that’s how I interpret this controversial picture. Remember that guardian in the background whom Natalie knocked out (killed?)? Good. Natalie throws Rose into the wall and frees Viktor who runs away. Rose crawls to the fallen guardian and takes his stake. She tries to fight Natalie with it (here goes the abovementioned still from the teaser) but hesitates and is not able to drive it through the heart. Natalie overpowers Rose and is about to kill her when Dimitri appears and saves the day. I sure hope that’s how they handled the security centre scene. 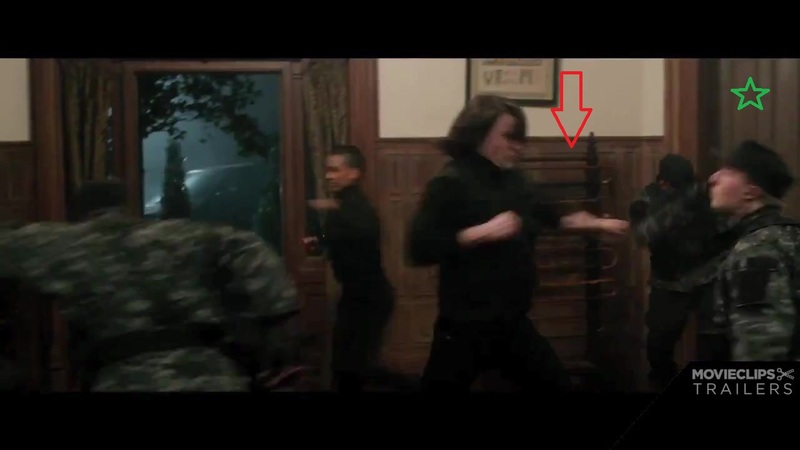 In the book Dimitri carries Rose out of the security centre. "Hey, Comrade," I murmured, my own voice sounding sleepy. "You were right about Strigoi." Rose also wants to know whether Viktor told her the truth about Dimka’s feelings. “Victor said you had to want me...to care about me...for it [neclace] to work." When he didn't say anything, I tried to grip his shirt, but my fingers were too weak. "Did you? Did you want me?" His words came out thickly. "Yes, Roza. I did want you. I still do. I wish...we could be together." His fingertip gently wiped away a tear that had escaped down my cheek. "That's part of it," he said. "But also...well, you and I will both be Lissa's guardians someday. I need to protect her at all costs. If a pack of Strigoi come, I need to throw my body between them and her." "I know that. Of course that's what you have to do." The black sparkles were dancing in front of my eyes again. I was fading out. Rose is once again at the clinic. Lissa and Christian spend all their free time with her and tell her all the news. They tell her that Dimitri knew there was a strigoi on campus when he found the body of one of the teachers. Viktor was captured. Lissa was prescribed an antidepressant, and she finally believed Christian’s story about her brother. Mia started hanging out with some of royal moroi again. Rose also mentions that the Dragomirs and the Ozeras were among the most powerful moroi leaders, and one day Lissa and Christian might follow in their footsteps. Rose also thinks about giving Mason a chance, though she’s still not over Dimitri. She knows he’s right – because of the age difference and their obligation to protect Lissa and put her first. But for some reason Rose hasn’t told Lissa about her feelings to Dimka or about the lust charm scene. Rose also thinks a lot about Lissa’s powers which are blocked by the drugs. Rose realizes that Sonya turned Strigoi to get rid of her destructive magic, but Lissa wouldn’t do this to herself. Rose goes to the chapel and asks the priest how St.Vladimir died. It turns out that he lived a long life and died peacefully. He was able to fight the insanity thanks to his strong will and shadow-kissed Anna. That’s when Rose understands that her bond with Lissa will help them het through everything without Lissa losing her magic. On her way from the chapel Rose sees the raven Lissa brought back to life and realizes that it is also bonded with Lissa. I think it would be a great ending to the movie – Rose talks to the raven that afterwards flies away and she heads to her friends. I also want to say some things about the remaining scenes from the teaser. I’m not sure about the meaning of helicopter scene. Then we have this one. I think it happens before the kidnapping. 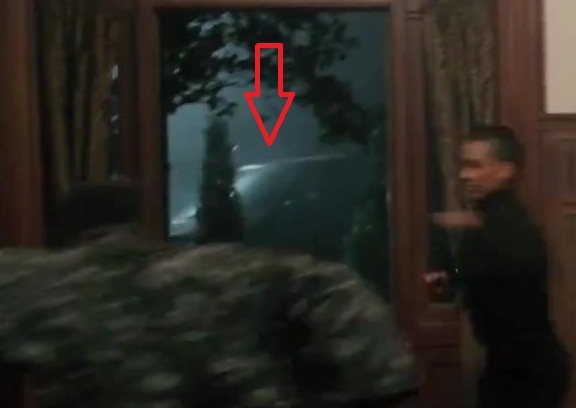 One of Viktor’s guys punches a patrolling guardian to open the gates for Viktor’s car (its headlights we see behind the trees). And also enigmatic fragment with Kirova on the desk and Rose with her laptop hiding underneath. By now it’s been said numerous times that the guy IS NOT Christian, but probably some random feeder. I tried really hard to find a scene in the book which could explain this weird fragment of teaser, but alas! I think we should wait for other VA stuff to come out, which might explain what’s going on in this particular scene. Well, that’s the end of our little journey into teaser/book world. In my opinion the teaser shows that a lot of stuff stems from the book, and there’s nothing to worry about just yet. I’d like to believe that Richelle and Zoey tell the truth about script following the book really closely. Given the ability of Waters brothers to make films about the teens and for the teens, I hope that we all will truly enjoy the movie and love it as much as we love the books. When some new VA stuff comes out, I’ll try to give you my opinion on that, so be sure to visit this blog a day or two after something new hits the web. Thanks for being patient and joining me in this experience. Talk to you soon… ish.